The Tiffin Glass Company was established in 1889 in Tiffin, Ohio. In January, 1892, the Tiffin Glass Company of Tiffin, Ohio was purchased by Samuel B. Sneath, Ralph D. Sneath, and John. W. Geiger. The new owners called the new company the Sneath Glass Company. Glass production began in February, and the major products were lantern globes and founts. After the destruction of its Tiffin plant by fire, the company moved to Hartford City, Indiana to take advantage of the offer of free natural gas. As the demand for lanterns declined in the early 1900's, the company expanded its glassware production to include kitchenware. 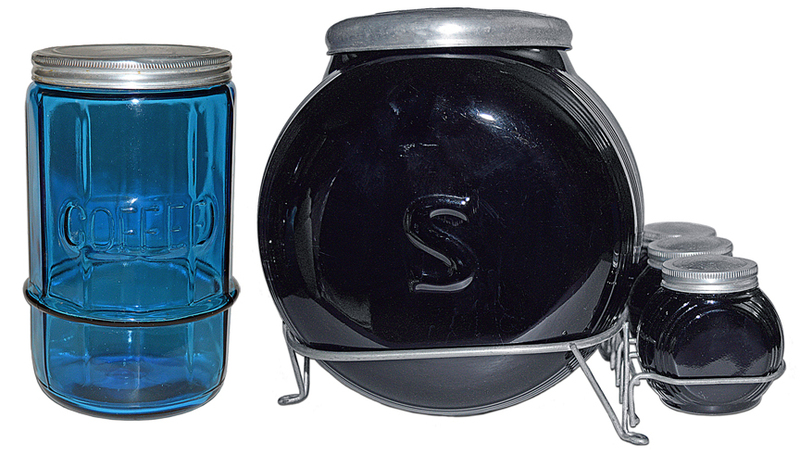 These new items consisted of canisters, shakers and containers intended for use in cabinets such as those made by Hoosier and Sellers. 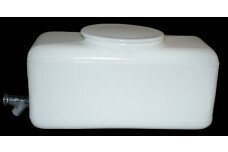 Later, containers for use in refrigerators were also added to the line. Aquariums, measuring cups and glass mailboxes were also produced on occasion. After, World War II, sales declined dramatically due to increased foreign glassware imports and the shift to plastics for kitchen storage. These obstacles and labor troubles forced the company to close in 1952.